Vatican City, Feb 28, 2018 / 09:56 am (CNA).- In a recent blog post Cardinal Joseph Zen has issued another harsh critique of the rumored Vatican-China deal on the appointment of bishops, calling it an act of “suicide” and a “shameless surrender” to the communist government. Rather, he faulted the Pope’s advisors for what he said is a “bad deal,” saying they are “obsessed” with an “Ostpolitik” solution to the issue of episcopal appointments which “compromises without limits,” yet gains little in return. Specifically, Zen pointed the finger at Vatican Secretary of State Cardinal Pietro Parolin, who he said was in the “diplomatic school” of his predecessor Cardinal Agostino Casaroli, who served as Vatican Secretary of State from 1979-1990. He also said the late Cardinal Ivan Dias, formerly Prefect of the Congregation for the Evangelization of Peoples, had also been influenced by Casaroli. The Congregation for the Evangelization of Peoples oversees the administration of the Church in areas designated ‘mission territories’ around the world. Dias, who died last summer, had a “marvelous curriculum,” having been Archbishop of Bombay for nearly a decade and was familiar with the situation in Asia as a whole, Zen said. Ostpolitik was the name given to the political process of pursuing the normalization of relations between the fractured German government in the late 1960s. Specifically, it aimed to patch the division between the Federal Republic of Germany of West Germany, and the German Democratic Republic of East Germany, which were split after the end of World War II in 1945. Since then, the term Ostpolitik has also been used to describe the efforts made by Pope Paul VI to engage, through dialogue, compromise, or agreements, with Eastern European countries run by communist regimes. Although Dias retired at the age of 75 and Parolin was named as nuncio to Venezuela in 2009, Cardinal Zen said that ever since Parolin’s re-entry into the Vatican scene as Pope Francis’ Secretary of State in 2013, he has continued to promote Casaroli’s political approach to China. Based on what Pope Francis has told him and Archbishop Savio Hon, who was born in British Hong Kong and is currently apostolic nuncio to Greece, Zen said it’s clear that the Pope “didn’t know the details” of the planned deal. Cardinal Zen’s latest critique was published in Chinese on his blog Feb. 24, and was translated and published in Italian on the blog of veteran Vatican analyst Sandro Magister. The post centers on a conversation Zen had with a priest from continental China, Fr. Geng Zhanhe, responding to different points Geng apparently made in support of the deal. Rumors of the proposed agreement have been gaining steam in recent weeks, with sources close the situation saying the accord is “imminent” and could come as early as this spring. If the deal is reached, the Vatican is expected to officially recognize seven bishops who are out of communion with Rome, including 2-3 whose excommunications have been explicitly declared by the Vatican. Most notably, the new deal would also apparently outline government and Vatican roles in future episcopal selection. The details of the deal would reportedly be similar to the Vatican’s agreement with Vietnam, in which the Holy See would propose three names, and the Chinese government would choose the one to be appointed bishop. Currently every bishop recognized by Beijing must be a member of the patriotic association, and many bishops appointed by the Vatican who are not recognized or approved by the Chinese government have faced government persecution. He noted that China is increasingly tightening its grip on religious activity in general, and pointed to a new crackdown put into place Feb. 1 which, among other things, bans anyone under 18 from attending religious services. It’s also forbidden to hold any sort of youth group activity or summer camp, even if it’s not held at a church. Responding to the argument that if a deal is not reached the Chinese government would increasingly appoint illegitimate bishops, eventually leading to schism, Zen said having the government control the Church in China independently of the Holy See is already schismatic. Zen then referred to a comment made by Fr. 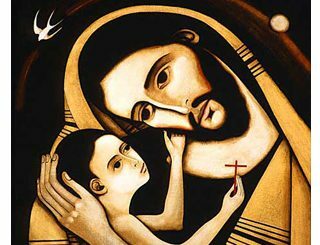 Geng reflecting that while it might seem unjust to ask legitimate bishops to step down in favor of those who are illegitimate, which the Vatican has done in at least two cases, it was also unjust for God the Father to ask his only Son to die on the cross. Pakse, Laos, Jun 29, 2017 / 03:45 pm (CNA/EWTN News).- When selecting new cardinals, Pope Francis has often sought to go to the “peripheries” of the Church, which is particularly notable in his elevation of Cardinal Louis-Marie Ling Mangkhanekhoun of Paksé. Cardinal Ling’s local Church is an apostolic vicariate in Laos, a communist country of southeast Asia where Catholics make up only about one percent of the population. He is the first cardinal to hail from the nation. The newly-minted cardinal’s resume includes a number of issues of keen interest for Francis, including evangelization, pastoral aid for the faithful where the Church is persecuted, a use of dialogue in diplomatic relations, and a concern for the environment. 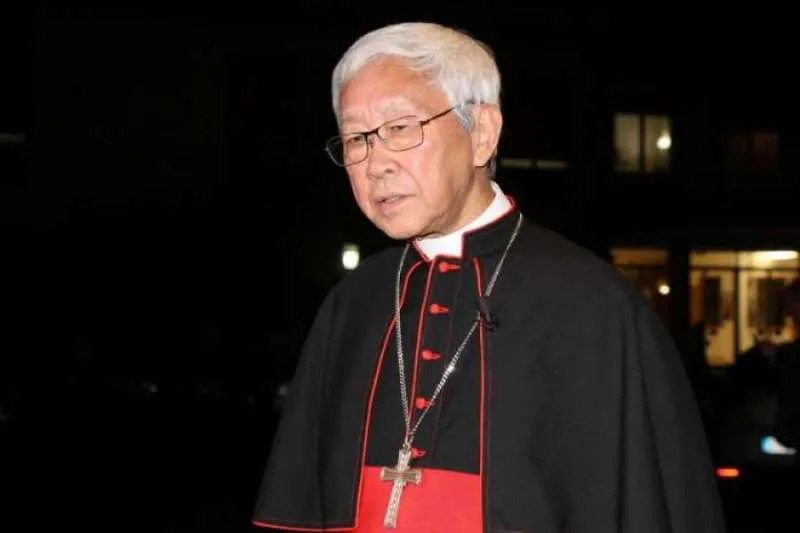 Born in Laos in 1944, Cardinal Ling attend a seminary of the Voluntas Dei Institute (associated with the Oblates of Mary Immaculate) in Canada, and was ordained a priest of the Vicariate Apostolic of Vientiane in 1972, three years before the communist takeover of the country. He was appointed vicar apostolic of Paksé in 2000, and consecrated a bishop the following year. He was elevated to the cardinalate June 28. Cardinal Ling’s ministry in the majority-Buddhist country has been greatly varied as he has responded to the unique challenges facing the Church and the people there. 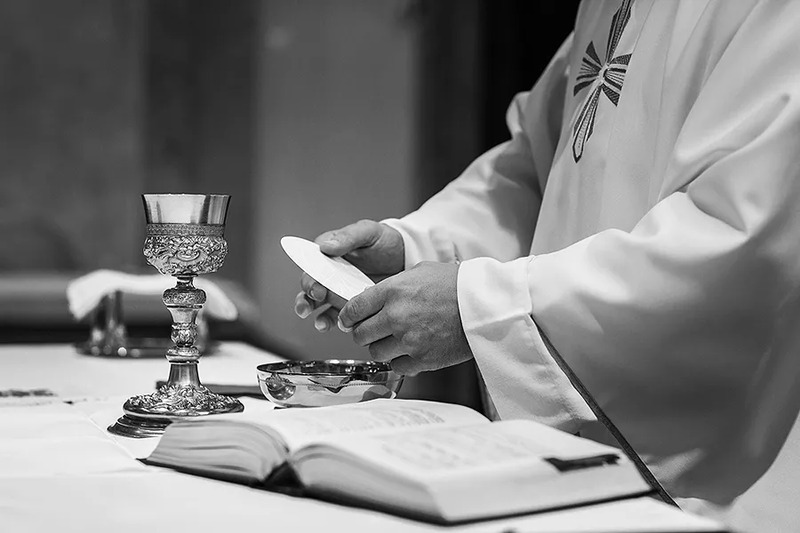 Catholics number just over a mere 45,000 in the country of 7 million, and are served by only 33 priests. “We are in the minority as Catholics, but we understand each other always; whether you are a cardinal or not, you are the same, you have to be simple and really with the people,” he told CNA. Given such a small Catholic population, Cardinal Ling, 73, has long placed importance on catechesis and evangelization. Many married missionaries, as well as the country’s seminarians, go into villages to minister to the Catholic flock there. He is also described as placing an emphasis on integrating Christianity into the local culture in order to promote harmony with the religious majority of the country. The communist takeover in 1975 posed a great challenge for the Church in Laos, which, anticipating persecution, stopped or scaled back many of its public liturgies and catechetical programs. Foreign missionaries were expelled. However, a surprisingly tolerant government has since allowed for the re-growth of the Church. However, the Church still faces challenges from the powers that be. “The Church is treated very poorly in Laos – probably the worst in ASEAN (Association of Southeast Asian Nations) save for Brunei,” a “well-place[d] diplomat source” told UCA News in May. Cardinal Ling is noted for having good relationships with government authorities. Despite challenges, the cardinal holds out hope for the future of his flock. While Laos is one of the few countries lacking full diplomatic relations with the Vatican, progress has been made in the recent past, and the presence of a Laotian in the College of Cardinals will offer a prime opportunity for continued building of these relationships. The beatification of 17 martyrs from the region, killed by communist forces in the second half of the twentieth century, was yet another sign of warming Church-state relations, as well as providing a sense of renewal for local Catholics. 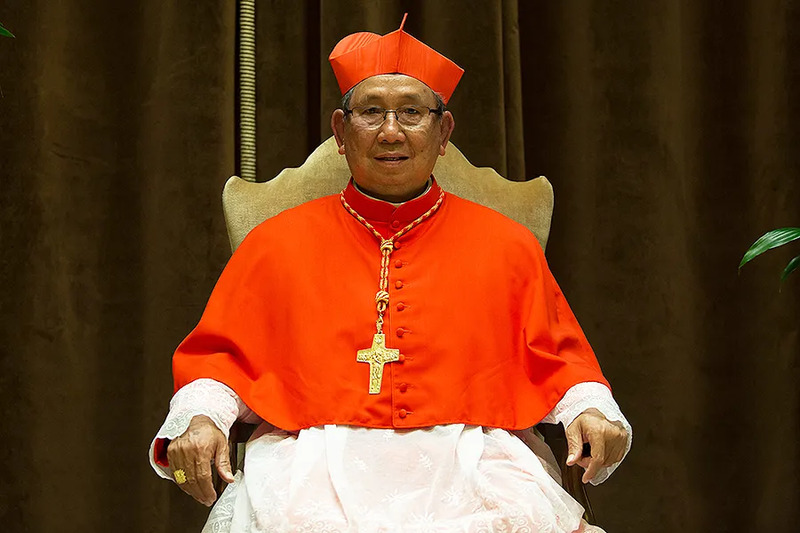 The new cardinal has also spoken out of concern for the environment, responding to fast-paced deforestation in the region. The elevation of Ling to the College of Cardinals represents a peripheral perspective from a long-time pastor with broad experience in many of the challenges facing the Church today. Alexey Gotovskiy contributed to this report. Melbourne, Australia, Mar 5, 2019 / 03:17 pm (CNA).- Robert Richter, Cardinal George Pell’s defense lawyer, said Tuesday that he has not quit the prelate’s legal team. A Melbourne daily had earlier reported Richter will not be part of the appeals process. Pell, prefect emeritus of the Vatican’s Secretariat for the Economy, was convicted in December on five counts of sexual abuse stemming from charges that he sexually assaulted two choirboys while serving as Archbishop of Melbourne in 1996. He has maintained his innocence, is appealing his conviction. It was the cardinal’s second trial, as a jury in an earlier trial had failed to reach a unanimous verdict. The first jury were deadlocked 10-2 in Pell’s favor. Though he will remain on Pell’s legal team, Richter will not be leading it through the appeal. Pell’s appeal will by led by barrister Bret Walker SC, who will be assisted by Richter, Galbally, and Ruth Shann, Richter’s junior barrister. According to The Age, Pell’s appeal will be made on three points: the jury’s reliance on the evidence of a single victim, an irregularity that kept Pel from entering his not guilty plea in front of the jury, and the defense not being allowed to show a visual representation supporting his claim of innocence. A university employees’ union representative at the ACU wrote to the school’s chancellor saying staff “have expressed dismay or repugnance” at Craven’s actions. She also asked that the Pell Centre at the school’s Ballarat campus be renamed, and that his portrait be removed from a location at the North Sydney campus.